Our hearts go out to the farmers who have been impacted by the excessive flooding that devastated parts of the Midwest. Early reports indicate that the total cost of damages is greater than $1 billion. Thousands of farmers, families, homeowners, and landowners have lost their homes and are now facing financial disaster. 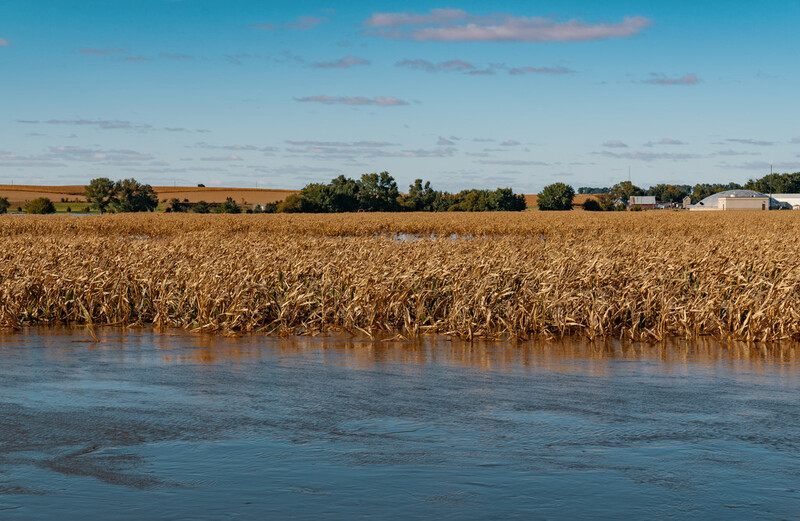 Farmers throughout the Midwest have been dealing with a number of setbacks, and the cost of damages from the recent flooding has threatened the livelihood of countless individuals. Unfortunately, there was only a small percentage of people who had flood insurance. The number of farmers who have declared bankruptcy in the upper Midwest is reportedly at an all-time high. Many have pointed out that the national bankruptcy rate in 2018 was actually lower than the 10-year average. This may be true, but agriculture is a big part of the Midwest’s economy, and the damages caused by the recent flooding could linger for years to come. Last year, nearly 500 farms filed for Chapter 12 bankruptcy, and Kansas was one of only three states that had an increase in the number of farm bankruptcies. Specific requirements must be met in order for a farmer to file for Chapter 12. The annual income from farming must exceed 50%, and the farmer’s debt cannot be greater than $4,153,150. According to the New York Mercantile Exchange, the price for hogs and cattle is increasing, and consumers are already paying more for certain meats. Our thoughts and prayers are with the farmers who are experiencing difficulties as a result of the flood. Remember that you can support our local farmers by buying local produce. If you are thinking about filing bankruptcy, Castle Law Office provides a free consultation. You can call us at 816-842-6200 or you can email us and set an appointment with a Castle Law Office Attorney to discuss your options.